Last-Fur-One’s motivation stems from their collective mindset on dance: love, energy, and support for other dancers. Founding members Ronnie, Atsu, and Mozee after Anthrocon 2010, and quickly found other crew members through dance competitions and through the vast network of ‘DancerFurs’, the community of furry dancers. At Anthrocon 2011 they made their first crew debut with their ‘Dance Workshop‘, which ran successfully and has continued to do so this day. At Anthrocon 2012, Last-Fur-One introduced their signature event that changed the face of furry dancing events forever: Floor Wars, a head-to-head dance battle competition with fierce action and spectacular performances. It has now been adopted by many other furry conventions around the world and is one of the furry fandom’s most exciting events. 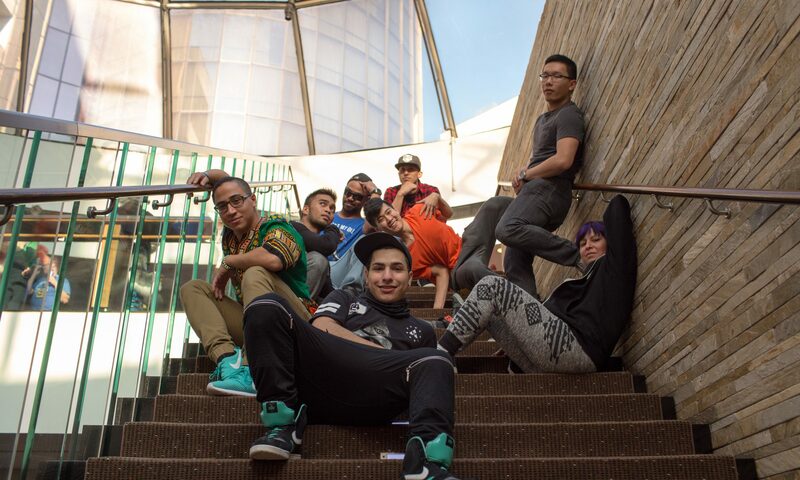 As the crew continues to spread their events and love of dance, they are always dreaming about pushing their limits even further and making a bigger impact in the furry community with each year.